The spectrum and spectre of Alzheimer’s disease and related dementias are affecting every nation in the world and it’s only going to get worse. At present, more than 45 million people worldwide have Alzheimer’s, a mind-robbing condition that impairs memory, thinking and behaviour, often leading to death within 3 to 9 years after diagnosis. Adding to this problem, there are 7.7 million new cases per year worldwide – that’s another person with Alzheimer’s every four seconds. The number of people with Alzheimer’s is projected to rise by 55% by 2030, and by 2050 more than 135 million people will be struggling with (and – unless we can find a cure – ultimately dying from) Alzheimer’s. In Canada, some 750,000 Canadians suffer from this, and one new person joins them every five minutes. It is estimated that by 2030, this number will have nearly doubled to 1.4 million. Considering that Alzheimer’s is already the 7th leading cause of death worldwide, the impending toll, as the Alzheimer’s pandemic fully manifests, may become catastrophic. Alzheimer’s is not only a profound human tragedy, it also imposes an overwhelming socioeconomic cost in terms of direct medical, social and informal care costs. Due to the length of time people live with the illness and need care, it’s among the most expensive medical conditions in the world and may soon become the costliest disease in human history. Dealing with dementia already costs Canadians $15 billion a year, a figure that by some estimates will rise to over $150 billion annually by 2040. In 2015, the total global cost of dementia was estimated to be $818 billion, equivalent to 1.1% of global gross domestic product. It is estimated that if the number of patients increases as projected in the years ahead, the costs to care for them will exceed $1.2 trillion annually in North America alone. Thus, future costs for Alzheimer’s threaten to bankrupt not only individual families but even national healthcare systems. Alzheimer’s and related dementias are a truly immense problem – a problem that is currently posing potentially insurmountable healthcare and fiscal challenge, and a problem that we cannot afford to ignore any further. All Alzheimer’s is dementia, but not all dementia is Alzheimer’s. Dementia is the loss of cognitive functioning – memory, language skills, visual perception, problem solving, self-management, and the ability to focus and pay attention – to such an extent that it interferes with a person’s ability to carry out the day to day activities of their normal life. Dementia is an overall term for a set of symptoms; dementia is not a specific disease. Alzheimer’s, on the other hand, is a specific disease and is a specific type of dementia. Alzheimer’s is an chronic, irreversible, progressive type of dementia that is associated with brain atrophy and with the deposition of abnormal protein clumps, called plaques and tangles, in the brain of the afflicted individual (Figures 1-3). Alzheimer’s is by far the most common type of dementia accounting for approximately 75% of all dementia cases. Other types of dementia include vascular dementia, frontotemporal dementia, progressive supranuclear palsy, Lewy Body dementia, and chronic traumatic encephalopathy. Neither Alzheimer’s nor dementia are a normal part of aging. Alzheimer’s is one of those diseases that is affecting us from “cell to society”, having the ability to harm or even destroy individual lives, families, or possibly even the healthcare system of a country. The world’s first G8 Dementia Summit was held in London on 11 December 2013, bringing together government ministers, researchers, pharmaceutical companies and charities to discuss what can be done. Delegates agreed that Alzheimer’s is a huge health and economic global challenge with the capacity to threaten the socioeconomic well-being of entire countries; they also heard that these challenges must be met through innovation and that the response to dementia must be a concerted worldwide effort. At the level of the family, Alzheimer’s can be overwhelming for the families of affected people and for their caregivers. Parents with dementia are often moved into family homes causing domestic stress; typically, children also give up their jobs to care for their dementing parents – causing additional strains within a family unit. At the level of the individual, Alzheimer’s is truly devastating. The disease robs people of their recollections, erases personality and makes even routine tasks like dressing and bathing impossible. The afflicted individual is unable to recognize their spouse of fifty years and is incapable of identifying their own children. Bigger than cancer, bigger than heart disease or lung disease – for seniors, dementia is the single greatest cause of disability and debilitation. At the cellular and tissue level, Alzheimer’s is characterized by the death of brain cells (neurons) and the activation of brain support (glial) cells. A normal adult human brain weighs 1300-1400 g; a person who has succumbed to Alzheimer’s will have a brain weighing less than 900 g. The thick grey cortical mantle of cells that envelop and embrace the brain (as the cortex) will be especially devastated. Ultimately, plaques (aggregates of beta-amyloid protein) and tangles (aggregates of tau protein) will become the tombstones of dead neurons, as the brain irreversibly degenerates. At the molecular level, the two protein pathologies characteristic of Alzheimer’s are amyloid plaques composed of Aβ and neurofibrillary tangles of tau. Aβ is composed of 39 to 43 amino acids and is generated by proteolytic cleavage of amyloid precursor protein (APP), a transmembrane protein of unknown physiological function. Cleavage of APP occurs by two competing enzymes: α-secretase and β-secretase. In Alzheimer’s, cleavage by β-secretase at the N-terminus and intramembranous cleavage by γ-secretase at the C-terminus liberates Aβ from neuronal cells. Above a certain critical concentration, Aβ monomers undergo a shape change from a random or α-helical state to β-pleated sheets. This conformational change, known as nucleation, prompts self-assembly into Aβ dimers, trimers and oligomers. Oligomers can further polymerize to form soluble protofibrils, followed by insoluble and highly ordered fibrils that deposit to form amyloid plaques. Small oligomeric clumps of Aβ are toxic to brain and contribute to the cause of Alzheimer’s; the plaques on non-toxic. The other proteopathic hallmark of Alzheimer’s is the presence of neurofibrillary tangles composed of microtubule-associated tau protein. Normally, tau stabilizes neuronal microtubules in axons, but in Alzheimer’s, abnormal phosphorylation facilitates disassociation from the microtubule and loss of function. Similar to Aβ, the change prompts self-assembly into highly toxic soluble oligomers, which eventually form larger fibrils and tangles that deposit within neurons. However, (and thankfully) our molecular level understanding of Alzheimer’s is still evolving. In 2018, there are two dominant hypotheses concerning the cause of AD: (1) the proteopathy hypothesis; (2) the immunopathy hypothesis. As discussed above, the proteopathy hypothesis proposes that proteins such as β-amyloid and/or tau misfold and become oligomerized or clumped. These species become toxic to the brain, destroying neurons and eventually causing Alzheimer’s to progress. The immunopathy hypothesis proposes that immune cells in the brain, called microglia, become “overactive” in Alzheimer’s; these activated microglia elicit the expression of pro-inflammatory cytokines such as interleukin (IL)-1β, IL-6, and tumor necrosis factor-α (TNF-α) influencing the surrounding brain tissue, damaging neurons and thus causing Alzheimer’s to progress. In 2018, there are no “disease modifying” or “curative” agents for AD. The only agents on the market for Alzheimer’s are “symptomatic” agents that temporarily help with the symptoms, but do not affect the relentless progression of the disease. Over the past two decades, of the more than 200 compounds assessed as disease modifying agents for Alzheimer’s assessed in more than 400 clinical trials, all have failed – it hasn’t even been close. And these failures have cost the pharmaceutical industry billions of dollars, while understandably diminishing their enthusiasm for continuing in this area. Indeed, a number of large pharmaceutical companies have withdrawn from active research in the dementia field. The amyloid hypothesis based on blocking the neurotoxic effects of amyloid protein misfolding seemed like such a logical target, yet all drugs exploiting this approach have failed. This has led to the oft-quoted but probably premature declaration that “the amyloid hypothesis is dead!” Where do we go from here, and do we even have a direction to pursue? Is this a problem that we cannot cure? There is room for optimism – lots of optimism. An antibody called BAN2401 (a humanized IgG1 version of the mouse monoclonal antibody mAb158, which selectively binds to large, soluble Aβ protofibrils) when used at its highest dose reduced decline in two measures of cognitive function in Alzheimer’s after 18 months, while reducing amyloid burden, according to data presented by the drug’s manufacture at a conference in July 2018. While questions persist concerning the study methodology, this is the first large clinical trial to support the proteopathic hypothesis of Alzheimer’s. This is a step in the right direction. Thus, the design and optimization of a pioneering disease modifying drug must remain as a neuropharmacological priority. The disappointing results of the past 20 years have revealed the pressing need for novel targets in disease-modifying drug design. Currently, four leading hypotheses attempt to explain the etiology of AD: (i) abnormal folding of both Aβ and tau (not just Aβ alone) and their subsequent assembly into oligomers, (ii) neurotoxic activation of the innate immune system, (iii) mitochondrial dysfunction, and (iv) oxidative stress. All of these hypotheses offer a wealth of druggable targets, offering new avenues of hope. And these are not the only interesting hypotheses. My own laboratory is contributing to these new avenues of hope (Figure 4). Over the past ten years, we have devised an innovative computer-based (in silico) model of protein misfolding. We identified a common binding site based on epitope commonality between multiple misfolded amyloid proteins. This information was used to create CCM (Common Conformational Morphology), a proprietary methodology for constructing models of the earliest stages of protein misfolding during the initial oligomerization stages – not during the late pre-plaque fibrillization stage. CCM represents a protein shape – not an amino acid sequence – that predisposes proteins to toxic misfolding. Using CCM we performed an in silico screen of 11.8 million compounds, allowing for the identification and optimization of numerous classes of potent, drug-like compounds –making structure-based design a reality for anti-amyloid drug discovery. This has enabled us to pioneer the design of molecular classes capable of preventing the misfolding of Aβ, tau, either individually or together. To develop these agents further, we have founded a biotech company, Treventis Corp. Earlier this year, Treventis announced a strategic research partnership with Servier, an international pharmaceutical company governed by a non-profit foundation, with its headquarters in France. The collaboration covers a large drug discovery program targeting both tau and Aβ and their earliest phases of oligomerization. As 2018 draws to a close there are many changes giving optimism and hope. The amyloid hypothesis isn’t dead, it has been reshaped and is still a source of druggable targets. New agents will be targeting amyloid misfolding at its earliest stages and will also be tackling the equally important misfolding of tau. Multiple other areas of investigation are still in their infancy but will offer exciting opportunities for drug design. In particular, the role of neuroinflammation and neuroimmunology in the pathogenesis of Alzheimer’s is presenting a bright future for therapeutic opportunities. Everything doesn’t have to be about the neurons; drugs that target the microglial support cells may have the ability to slow disease progression down. There is also a growing realization that there may not be a single magic bullet that takes out Alzheimer’s. As with high blood pressure, it may take a cocktail of different agents targeting different receptors. All of these realizations are conceptual advances paving the way for the discovery of potentially useful drugs. Arguably, halting the full impact of the impending Alzheimer’s pandemic may take more than a drug. Alzheimer’s is a disease that devastates not only individuals, but a disorder that afflicts families, societies and nations. And a lot of people already have it and will require care. Addressing this epidemic requires a multi-prong attack, targeting all aspects of this disease, from molecules to cells, from individual lives to their families and societies. To achieve this goal, we need to better understand all these diverse and varied aspects of Alzheimer’s. The development of ultra-low temperature freezers spans decades of progress in component design, electronic supervision and cabinet construction. From refrigerants and compressors to controllers, cabinet insulation and data logging, manufacturers have established a myriad of internal operating metrics shaped to position their ultra-low temperature freezers as the best on the market. In recent years, however, the industry-wide creation of ENERGY STAR® criteria for universal assessment of freezer performance has begun to bring credible, third-party insight into a reality that was previously left to manufacturers alone. Today, facility and biorepository managers, along with end users, are becoming more knowledgeable about key performance factors that ultimately define the suitability of an ultra-low temperature freezer for their application. As a result, the demand for independent testing and comparative evaluation of leading ultra-low temperature freezers on the market has grown, while purchasers have broadened their view of freezer specifications to evaluate the concept of performance at a higher level. This embraces three primary deliverables essential to stored product safety: reliability, recovery and energy efficiency. The first of these is reliability. Because an ultra-low temperature freezer is acquired to safeguard years or even decades of clinical research at temperature setpoints of -80°C, or -70°C, failure is never an option. The value of frozen contents is difficult or even impossible to determine. Specimens are often irreplaceable. Therefore, uptime is the most important function of an ultra-low temperature freezer. It is also the single most challenging attribute that leads to uncertainty and impact on reproducibility in scientific research. This chronic uncertainty weighs on the entire industry. The global repository of generations of research depends on the performance of a cold storage product group that, if not properly engineered, places inordinate stress on the machines as well as the people who place their life’s work inside. In the life science market, there is no central agency to corroborate manufacturers’ claims of reliability, uptime and other performance attributes critical to safe storage of biological materials. Purchasers must depend on the integrity and social responsibility of the manufacturer, truthfulness of published specifications, referrals from colleagues and testing performed by their own institutions or by independent agencies. Consultation with facility maintenance personnel responsible for out-of-warranty service, or those who are factory trained and authorized to perform in-warranty service, can be highly credible sources of information. Independent service repair companies with reputable service technicians are unlikely to recommend poor performing freezers in order to earn money fixing them; the stakes are too high. Whether in-house or independent companies, these insights can offer valuable context in advance of a purchase decision. The exponential worldwide growth in the volume of stored frozen biologicals has brought forth a demand for better energy management. New cooling systems have established impressive statistics for reducing power requirements. These include cascade platforms with variable speed compressors as well as alternative engines. All must maintain ultra-low temperatures for indefinite storage while restoring setpoint temperature quickly and efficiently following door openings. Unfortunately, the need to reduce energy consumption has pushed some systems to the edges of prudent performance. Temperature recovery requires a combination of system anticipation and rapid platform response within the parameters of a safe mechanical performance envelope. Thus, the freezer must be designed for the worst-case reality of daily operation where room temperatures can be high, line voltages may fluctuate due to aggregate power demands leading to brown-out conditions, and access to stored product may be more frequent than normal. The accumulation of frost on door gaskets and dust on condenser coils is another reality that engineers must confront. While recovery and uniformity are related, recovery speed, which is a prime indicator of reserve refrigeration capacity and high ambient temperature tolerance, remains at the forefront of performance attributes. Interior temperature recovery and uniformity are essential to the relationship between storage location and the viability of stored product over the long term. A thorough evaluation of ultra-low temperature freezer purchase alternatives demands an understanding of recovery rates, measuring criteria such as ambient temperature at time of test, control probe location, duration of outer and inner door openings, and freezer load. Manufacturers who publish best-case recovery rates measured under ideal conditions may not account for actual use scenarios in their literature. Independent documentation of recovery performance should be a prerequisite when comparing competitive freezers, and an essential consideration when purchasing any ultra-low temperature freezer whether for replacement or new laboratory design. Development of more energy efficient ultra-low temperature freezers has continued to reveal significant improvements in the interplay between electronic sensors embedded within the cooling circuit, firmware with algorithms programmed to anticipate cooling demand, and cooling engines or compressors designed to remove heat from the cabinet to the outside environment. As a result, the power consumption gap between leading ultra-low temperature freezers from various manufacturers has narrowed. Today, purchasers must emphasize reliability over initial acquisition cost. Purchasers must demand temperature recovery and uniformity more than insignificantly different energy costs. And purchasers must demand a rebalanced performance equation where reliability, recovery and operating costs are properly apportioned to protect a priceless inventory. An energy-efficient freezer that cannot respond to high ambient temperatures or cannot recover quickly following door openings neglects a key requirement for stable, long-term storage at ultra-low temperatures. The industry-wide adoption of ENERGY STAR criteria for measuring and documenting power consumption has offered a new set of standards by which freezers can be evaluated. Energy consumption alone, however, should not be a primary performance attribute if achieved at the expense of recovery and uniformity. As energy efficiencies continue to equalize, customers should expect energy savings over the life of the freezer that supersede the cost of operating installed freezers running on older conventional platforms. Most importantly, investments in energy efficient freezers should be made only within the context of why freezers are required in the first place: reliable, uniform and responsive ultra-low temperature storage of critical research. Toward this end, purchasers should demand comparative data generated through independent evaluation of all products under consideration. Through this effort, test conditions and criteria should remain constant across the board so that strengths and shortcomings can emerge in support of a purchase decision. While manufacturers’ specifications typically offer features and benefits, dimensions, site preparation and voltage requirements, the operation of an ultra-low temperature freezer in situ is best evaluated by a systematic review of third-party or internally commissioned testing independent from manufacturers’ claims. An example of an internally commissioned comparison of ultra-low temperature freezers was presented at the International Society for Biological and Environmental Repositories (ISBER) 2018 Annual Meeting, Dallas, TX, “Comparison of Energy Efficient -80°C Freezers for Biorepository Storage.” Here, the Mayo Clinic Biorepository Program Biospecimens Accessioning and Processing (BAP) Core Laboratory compared three leading upright ultra-low temperature freezers under controlled conditions. This report is available from The Mayo Clinic or at https://www.morressier.com/article/5ada8a0ed462b8029238e4de?utm_source=laboratory-focus&utm_medium=editorial&utm_campaign=ult-freezers. Canada is a biotech powerhouse, consistently at the forefront of change with a strong engine of innovation. This country has a knowledge-rich talent pool and is a destination for investment capital. Biotechnology Focus, with the help several investorsi, has narrowed down the top 5 private venture capital financings in the country within the last couple of years. All these private venture capital companies represent extraordinary advancements in the biotechnology and pharmaceutical space, whose cutting-edge technology has the potential to provide treatment – or even cure – some of the world’s most challenging conditions and diseases. Listed from the highest grossing financing to the fifth highest overall, Biotechnology Focus would like to extend their congratulations to the companies for not only a job well done and well deserved, but for building a stronger innovation ecosystem that ultimately, will help Canadians and the world across the board. Repare Therapeutics takes the cake as the leading private venture capital financing in the last couple of years, taking home a whopping US$68-million in their series A financing round June 22nd, 2017. That money will be used to advance its platform and pipeline of novel medicines that target genetically defined weaknesses of cancers. The company is developing new, precision oncology drugs for patients that target specific vulnerabilities of tumour cells. Its approach integrates insights from several fields of cell biology including DNA repair and synthetic lethality. Repare’s platform combines a proprietary, high throughput, CRISPR‐enabled gene editing target discovery method with high‐resolution protein crystallography, computational biology and clinical informatics. With this financing, Repare emerged from Versant’s Discovery Engines after an 18-month stealth period during which the company advanced its leading CRISPR-enabled synthetic lethality drug discovery platform, identified several promising oncology targets and moved multiple programs into preclinical development. Runner up was Milestone Pharmaceuticals Inc. pulling a close second on August 1st, 2017. The clinical stage cardiovascular company closed their Series C financing round at US$55-million. The round was led by Novo Holdings A/S and included new investors Forbion Capital Partners and funds managed by Tekla Capital Management, with significant participation from Milestone’s existing investors Domain Associates, Fonds de solidarité FTQ, BDC Capital, Pappas Capital, and GO Capital. Milestone Pharmaceuticals is a private venture capital-funded cardiovascular drug development company developing new small molecule therapeutics for transient cardiovascular conditions. The company’s lead product, etripamil (MSP-2017), is entering its Phase 3 of development. Etripamil is a potent and short-acting nasally-delivered calcium channel antagonist in development for the episodic treatment of paroxysmal supraventricular tachycardia (PSVT). The funding will be used to advance etripamil, the company’s lead product, into Phase 3 development including the execution of pivotal and supportive clinical trials, the production of clinical and commercial supplies and pre-launch commercialization activities. The funding will also be used to expand the company’s resources including select additional headcount and advisory support in strategic areas including Marketing and Medical Affairs. Taking third place is Fusion Pharmaceuticals September 25th, 2017 when closing their second Series A financing, for a combined total of US$46-million. New investors in the second closing include Adams Street Partners, Seroba Life Sciences, and Varian Medical Systems Inc., who join the existing group of international investors, FACIT, Genesys Capital, HealthCap, Johnson & Johnson Innovation – JJDC Inc., and TPG Biotech. Fusion is a clinical stage company and spinout of the Centre for Probe Development and Commercialization (CPDC) focused on developing novel targeted alpha therapeutics for the treatment of chemotherapy resistant cancers. Their first product, FPX-01, combines the precise targeting of a human experienced antibody with Fusion’s linker technology and the alpha emitting cytotoxic isotope Actinium-225 to induce cancer cell death. FPX-01 is an antibody-targeted radiotherapy, which seeks out a specific biomarker of resistance that is present on nearly all types of treatment refractory cancers. The technology is designed to selectively deliver actinium-225 to tumour cells so that in conjunction with internalisation, the alpha particles emitted will eradicate diseased tissue. Coming up as a strong fourth is AbCellera Biologics, a cutting-edge company with leading technology for screening and mapping of natural immune responses. They test antibodies from single B cells at depths of millions of cells per day to unleash the power of natural immunity in the next generation of antibody therapies. AbCellera Biologics Inc. was awarded a contract from the Defense Advanced Research Projects Agency (DARPA) to develop rapid countermeasures against viral outbreaks March 13th, 2018. Over the four-year contract, AbCellera will receive up to US$30-million in funding to establish an end-to-end platform for rapid pandemic response and will lead an internationally recognized team of experts in virology, antibody discovery, and gene therapy. The project is part of the Pandemic Prevention Platform (P3), an imperative initiative of DARPA’s Biological Technology Office. The P3 program seeks to develop a robust technology platform for pandemic response capable of developing field-ready medical countermeasures within 60 days of isolation of a viral pathogen. AbCellera’s platform development and testing will include the discovery of thousands of human antibodies against a wide array of influenza strains and validation using a variety of other critical viral pathogens. Just trailing fourth, Fortuna Fix finds themselves in the fifth spot. Backed by Amgen Ventures, Fortuna Fix secured US$25-million in funding to push its autologous stem cell treatments for Parkinson’s disease and spinal cord injuries into the clinic on November 8th, 2017. Fortuna Fix is a next-generation regenerative medicine company focused on neuronal repair and regeneration. Their vision is to establish regenerative medicine as a new paradigm of health care, bringing real solutions to conditions that cannot be cured by current therapeutic modalities. Fortuna has its eyes set on being the first company to enter the clinic using a patient’s own neural stem cells produced by direct reprogramming to replace lost neuronal tissue due to neurodegeneration and neurotrauma. For those of us who have been following and working in the cell and gene therapy (CGT) field for a significant number of years, this is an exciting time. 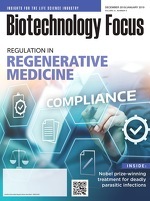 The current global market for regenerative medicine is US$36B and forecasted to grow to reach US$49.41B by 2021.1 With 977 clinical trials in cell, gene and tissue therapy underway worldwide at the close of the second quarter of 20182, CGT treatments and regenerative medicine-based technologies have reached a level of momentum that industry, investors, the health-care system, regulators and the media are taking very seriously. A “tipping point” has emerged with the seminal approval of Novartis’ Kymriah in the U.S. and Europe, its USD$475,000 list price by the Centers for Medicare & Medicaid Services, and the growing catalogue of high-value acquisitions in the sector. To meet the increasing demand for newly-approved and upcoming therapies, there is still a long inventory of challenges to overcome, from manufacturing, supply chain, regulatory, reimbursement, market accessibility and more. To address these challenges, we need smart, talented, experienced engineers, scientists and business leaders. Because the industry is still relatively new, there is a shortage of these people. To maintain momentum, we need to get serious about training. Canada’s largest biotechnology company, STEMCELL Technologies, says it has average annual growth of 20 per cent and anticipates hiring 4,000 highly skilled people in science and technology and other professions over the next 10 years. The issue of talent in CGT has at least three bottlenecks: is there the entrepreneurial talent and seasoned management to allow us to scale sucessfully; will there be the necessary specialized skills (cellular and biological engineering, patent law, cell and gene manufacturing, regulatory, reimbursement, etc.) to support this industry; and, are educational institutions offering the interdisciplinary skills to produce the talent that converges in multiple fields of expertise to lead this field moving forward? Developing entrepreneurial talent, experienced bioengineers and seasoned management happens organically over time and by putting training programs in place. It also happens by leveraging successive wins and cumulative “lessons learned.” The CDRD Life Sciences Executive Institute, in partnership with Pfizer Canada, is an excellent example of a “bottom-up” program designed to supply Canadian life sciences companies with the executive talent it needs. Rotman School of Management’s Creative Destruction Lab is supporting science-based companies through its mentoring process – we are both advisors – and its new Global Executive MBA for Healthcare and the Life Sciences will give mid- and senior-level executives the business tools and leadership training to help biotech companies to thrive. While Canada graduates very capable scientists and engineers, we need to make the transition to industry smoother for these deeply educated and talented individals. As the CCA report notes, “relevant applied skills could include those related to entrepreneurship, legal and ethical affairs, translational research, clinical trial implementation, product development, and large-scale manufacturing.” These hybrid skills are already in demand and that will increase as the industry grows. Biomedical engineering is where engineering design principles and mathematics are applied to medicine and biology, allowing students to make significant contributions to improving human health by finding new diagnostic or therapeutic solutions. This growing discipline is ready-made for CGT. Many of these university programs will require partnerships with community colleges to train specialized technicians driven by compliance to strict quality systems. The McMaster Mohawk Bachelor of Technology is an example of a program that will supply highly qualified personnel to this sector. The 55-year-old Institute of Biomaterials and Biomedical Engineering at the University of Toronto has also been graduating highly-trained students who are primed to make an impact in CGT. This model is being refined and built upon in Vancouver where, in 2017, the University of British Columbia (UBC) launched the School of Biomedical Engineering. As Canada’s first multi-faculty comprehensive biomedical engineering school, UBC is investing in the future by educating the bioengineering talent with in-depth biology deconstructed with quantitative engineering design principles and contextualized with real world health problems. In September 2018, BME@UBC will welcome its first cohorts of undergraduate students, complementing strong and well-established graduate education programs. UBC undergraduate students will be eligible to participate in industry co-op programs during their education. Beyond education, hands-on experience provided by industry is essential. CCRM, through its advanced manufacturing centre – the Centre for Advanced Therapeutic Cell Technologies – and its new Good Manufacturing Practices facility – the Centre for Cell and Vector Production – is offering recent graduates and management-level employees the skills to succeed in an industry that will continue to grow and provide good-paying jobs in the future. CCRM has an exceptionally capable workforce, which we are building through our international networks with academia and industry. Most exciting, we are beginning to seed “CCRM alumni” in companies in the U.S., U.K., Europe and Japan. In fact, in many ways CCRM has been a training ground for industry leaders who launch their careers in our labs. In Canada and around the world, there are other examples of training programs preparing tomorrow’s CGT leaders, but demand remains high and gaps in expertise are an issue today. Governments, educational institutes and industry need to come together to ensure that the global CGT industry does not stall and sputter because of a workforce that is too inexperienced to lead, commercialize, manufacture and scale new treatments that will revolutionize medicine. Patients are relying on us! If talent is an issue that our industry comes together to support, we will all benefit in the long run, along with the patients we are striving to help. CCRM is a Canadian leader in developing and commercializing regenerative medicine technologies and cell and gene therapies. It is a centre of excellence funded by the Government of Canada through the Networks of Centres of Excellence program. Michael May is President and CEO of CCRM. Peter Zandstra is the Chief Scientific Officer at CCRM and the Founding Director of UBC’s School of Biomedical Engineering. Zandstra and May co-founded CCRM, which launched in June 2011. Learn more about CCRM at www.ccrm.ca. Canada has a lot to offer, especially in the biotech space. But certain regions dominate in some categories more than others. Prince Edward Island is no exception. It may be a small island lying just off the coast of Nova Scotia and New Brunswick, but when it comes to bio-based human, animal, and fish health technologies, the province punches above its weight. Biotechnology Focus had the pleasure to speak with the executive director of the PEI BioAlliance, Rory Francis, who discussed in detail how the innovation ecosystem is mapped out in the province to give an informative view on what makes up this powerful dynamic. As an experienced senior executive with over 30 years experience in professional, management, and leadership roles in the private and public sectors, Rory Francis has helped lead transformative change in several programs and services across the province of Prince Edward Island. MC: Before delving into what is going on in the current innovation ecosystem on Prince Edward Island, could you give us a little bit of background on the PEI BioAlliance and the vision of the organization? RF: The BioAlliance has been around for almost 14 years now. It was created in 2005 as a private-not-for-profit organization led by the private sector leaders in the community here in Prince Edward Island (PEI). But the DNA of the organization is such that our board includes those private sector leaders, as well as academic and research partners – university, college, National Research Council, Agriculture Canada Research – as well as government partners in federal and provincial agencies, and several organizations involved in finance. So, it really is a cluster model very much like a Michael Porter model partnership among various stakeholders all committed to developing and executing on a single strategy to develop the bioscience cluster in this province. That really hasn’t changed over the last decade in terms of its role. It’s really a private sector led economic development engine focused on the biotech sector in the province. MC: Have you been with the BioAlliance since inception? RF: Yes, I have been here since inception. I was asked to help put some structure into what a small group of companies was, but there really was no structure or strategy at that time. That’s what I was asked to assist with. So, it’s really all kinds of leaders from all those partners that came together to think through what our model should be, what the role of the BioAlliance should be within the community, and in particular, what mattered in terms of creating an environment for business. And when I say ‘role’, that’s very important because there are various kinds of clusters in the world and economic development models. So how are we defining success? What does that look like? It is a very important conversation to have early on in any organization. What’s essential is being clear on what success looks like and then setting up some stretch goals and strategies to get there. MC: What is the scale of the cluster? RF: We are about 57-58 companies here in Prince Edward Island in the bio sector, with over 1600 employees, $250-million in sales per year, about $80-million in R&D investments each year, and we also track one of our key metrics – follow on capital. One of our roles is really helping early-stage companies, both those that are born here in the province and early-stage companies from other jurisdictions and countries see the value in being within the cluster here to help them commercialise their technology. That is a very important goal we set out early on; to be good at establishing the conditions for those early-stage, technology-rich, maybe business plan poor companies to increase the probability of them actually getting to the market successfully. That really means focusing on what matters in terms of making that transition and being able to get through that critical path from the technology to a real business. Follow on capital is an important metric because that’s an indication of whether or not we’re actually getting companies to a point where they are attracting private sector investment. MC: Now, what is the ratio of the companies within the cluster? Do they tend to be heavier on the early-stage side or do you have more mature companies in the region? RF: Of the 58 companies I mentioned earlier, about half of those would be about pre-revenue. So, they are working through their clinical program. They’re working through their regulatory requirements in order to take a technology to market, but they’re not in the market yet. The other half would be companies that actually have products in the market. That’s a pretty healthy ratio for the bio sector in general. The other metric that is kind of interesting is that about half the companies within our cluster are born and bred here; the other half are from somewhere else in the world and have chosen to locate here in our backyard as part of the cluster. They feel that it’s strategically important for them to be here versus anywhere else in the world to commercialise their technology. So, that’s a pretty big vote of confidence in the cluster environment, the ecosystem here and what we have established. Our largest companies are still small by international standards, with $50-100-million a year revenue and up to 300 employees. These include companies like BioVectra, Sekisui, and Elanco. We also have a second tier of companies that have approximately 100 employees at the $20-million mark, all the way down to the really early-stage companies, with one or two scientists trying to commercialize their technology and get the proof of concept work done. MC: What is the draw then for these companies to relocate to PEI if they were not originally from your backyard? RF: It’s not so much about moving. We’re not talking about moving companies that already exist in some other jurisdiction in Canada or even in the US and setting up shop in Prince Edward Island, unless it is with a view of accessing Canadian markets or North American markets. In terms of the companies, they are usually early-stage companies. We focus on due diligence, the technology assessment, a hard-nose screening of what kind of opportunities these companies have for success as part of an incubation program that we run. The strategic reason for being here is usually the technology support – the science and technology underpinning and areas of strength have a lot to do with what companies are here and why. Areas that are being reborn in terms of new development are natural health products, personal health care products, even pharmaceuticals, animal health, animal nutrition. So natural health products – these are extracts from marine and terrestrial sources of bioactives – and that whole area of expertise is something that we really do have here and are probably one of the leaders in the country in that area. Animal Health and Nutrition is another focus area, with expertise within both the private and public sectors. We have the Atlantic Veterinary College (one of five in North America) located here in Prince Edward Island. Fish health and nutrition is another niche area, and a very fast-growing market in the world (aquaculture). We really own the leading assets in North America when it comes to fish health and nutrition, everything from again businesses who have very strong expertise in vaccine research and development, commercialisation, manufacturing, contract research capacity, that supports the stringent regulatory requirements of putting these products into the marketplace and infrastructure that can support that R&D. So, we have a really sophisticated platform of well-integrated support for companies working in fish health and nutrition. MC: Going back to the PEI BioAlliance, what is your operating model? RF: The BioAlliance Inc. is a relatively small organisation – the catalyst for the development of the strategy that the board owns and then facilitating the execution of that strategy through our partnership – which is an absolutely key part of what differentiates us and how we work. It’s this partnership that we’ve established over quite a few years now that involves the business community, the academic and research community, and our government partners that allows us all to row together and focus on the same set of priorities. You can get a lot of things done in terms of overall strategy and how we work with individual companies when we have everyone understanding what matters and working together to find solutions at a cluster level and at the business level. Collaboration is a word that gets a little kicked around, but I think we’ve got a lot of years now of evidence that if you can establish that kind of an attitude if everyone (whether we’re talking private sector or academia or government agencies) sees that their mandate is more quickly and more readily fulfilled by being part of something bigger than themselves, then everyone is willing to commit resources and time to make things happen. MC: What would you say is the defining success of the organization? RF: If we go back to our metrics, we have been pretty aggressive on setting targets for cluster growth. The last full turn of the strategy wheel from 2012-2015, we were able to double private sector revenue, increase job numbers by 50 per cent, and increase access to capital dramatically. Some other highlights over the last few years would be that we’ve been very competitive, and very successful in national competitions. We established the Emergence Bioscience Business Incubator through success in a national competition and have been running that incubator program as a virtual incubator for almost five years. We have 65 companies that are additional companies outside of what I talked about earlier. About 20 of those are from Prince Edward Island, but the other 45 are from other parts of Canada, the U.S., Europe, Australia, and Israel. 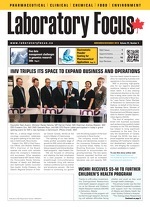 It is a very successful incubator program that is not only assisting bio companies across Canada in getting their technologies to market, but we are serving a soft landing program for companies from other countries who are, for example, from Europe, who want access to the North American marketplace and they have a technology that fits with our strengths here in Prince Edward Island. So, our incubator program has been a highlight and I think a very strong element of the cluster ecosystem here. Natural Products Canada was born here in 2016 winning a national competition, CECR (Centre for Commercialization and Research) program, which was a very big deal. It’s a $25-million over 5-year program. Natural Products Canada now has offices in five provinces and is really an accelerator, supporting companies in the natural product space with equity investment, with connections to other sources of capital. They’re helping companies that are a little beyond the incubator side of things. In fact, we’ve had companies come out of our incubator program and receive capital investment from Natural Products Canada, taking them to the next level. It’s been a very exciting new initiative with its own board, its own structure. But it is really creating a national network of expertise in the natural product space. We’re also part of the Ocean Supercluster, representing the marine bio resources component. There’s a lot going on and many exciting opportunities ahead. The world is getting that much smaller as countries expand their reach across the globe, fueling collaboration to stem the gaps in innovation and research. MaRS Innovation is one of these organisations that are crossing the cultural divide to build a brighter future for tomorrow. Within the last few years, MaRS Innovation has built a partnership with the Korea Health Industry Institute (KHIDI) which is a South Korean government-affiliated organization in the healthcare and R&D area which sought to invest in innovative biotech research within North America. After hearing advice that they should investigate the Toronto region and meet with MaRS Innovation, they immediately saw the mutual benefits and began working together for a common cause in June of 2016. Later that year, Raphael (Rafi) Hofstein, the president and CEO of MaRS Innovation flew to Seoul where KHIDI and MaRS Innovation signed an MOU to begin the journey forward. Like MaRS Innovation – which is a non-profit organisation that acts on behalf of their member institutions, including 15 of Toronto’s top universities, institutions and research institutes to bring the most promising research breakthroughs to the global market – KHIDI represents the 10 largest hospitals in South Korea that aim to commercialise the outcome of their research. The two organisations agreed on three main elements when they signed their MOU in November of 2016: one, to identify complementary scientific projects; two, to determine which scientific technologies would lend themselves to company creation; and three, to create a fund that will support these fledgling companies once they are up and running. By that time, they had already identified 10 candidates for the Seoul community of university hospitals, which resulted in remarkable success and led to more operational sessions soon thereafter. The matchup between the Ontarian and South-Korean technologies has been supported by the Ontario and the South-Korean government, respectively. Assessments are being held in the two sides of the ocean and the parties strongly believe that funding will continue to be allocated for this promising binational initiative. Additionally, they invited Dr. Christopher Yip from the University of Toronto (UofT) who oversees international partnerships and is associate vice president of UofT. Thus far, Yip has sought after partnerships with India and China, but after being introduced to the two largest university hospitals in Korea, he sees this as a promising opportunity for binational partnership. This collaboration has provided the companies with the funds they need for their joint activities and has had such an overwhelmingly positive response that MaRS Innovation has started visualising the third cohort, which Rafi thinks will reflect the growing trend of artificial intelligence, machine learning and big data processing in health care. MaRS Innovation recently returned from Seoul after addressing their second commitment in the MOU, namely incorporation after research for the more promising research breakthroughs. With MaRS Innovation’s exceptional portfolio of over 50 companies, 10 in the first and second cohort, they have identified at least three projects that will undoubtedly turn into companies soon. It will be a joint venture between the two groups. They are in various leading areas of healthcare namely, drug development, molecular diagnostics and drug delivery. The next step of the journey will be the most challenging part of the MOU – a bumpy but crucial part of the path – and that is access to capital. MaRS Innovation met in recent months with several financial groups from the two sides of the ocean, and discussion are underway relative to jointly support the nascent companies. “We wanted to have the freedom to invest in Korea and in Canada,” says Rafi. “We had to be very selective in terms of who was eligible to make investments outside South Korea, and I think we did a good job on that. But much more intriguing is the non-government financial players who stood out to be promising ventures that may move to the next level and facilitate further discussions. “Moreover”, suggested Rafi “in the wake of Samsung opening their AI Centre in the MaRS Discovery District, Toronto will undoubtedly be gaining more international momentum as eyes across the world see this bustling city as a destination for innovation. Therapeutic applications of stem cells are central to the promise of regenerative medicine. An increasing number of stem cell therapies are being approved for clinical use and by some estimates the global market is expected to grow to ~5 billion dollars by 2024. However, commercializing any therapeutic application is difficult. Careful consideration of patent strategy at the outset of R&D is critical for establishing a competitive advantage. Different jurisdictions have different restrictions on what may be patented. In most cases, claims directed to isolated stem cells as well as therapeutic uses of those cells are permissible in Canada and Europe as long as the claims meet the remaining criteria for patentability such as novelty and inventiveness. In the United States, isolated products of nature are no longer considered patentable subject matter. This may limit the availability of patent protection for cells that are not “significantly different” from those found in nature. Nevertheless, it is often possible to obtain effective protection by adopting different claim strategies. For example, in the U.S. one strategy is to pursue product claims to any commercially relevant combinations of stem cells and other elements (such as a scaffold or agent that results in the combination having characteristics that are markedly different from those found in nature), while pursuing relatively broad method claims that refer to the cells per se for the treatment of a medical condition. Claims to recombinant stem cells should be considered patentable subject matter in the U.S., Canada and Europe. Cell-based therapeutics will often have complexities in their manufacture not seen with small molecules. Claims directed towards advances in the analysis, preparation or storage of stem cells can have significant commercial value. Remember to expand your IP diligence beyond immediate therapeutic applications and work with a patent agent to consider whether additional opportunities exist for patent protection.